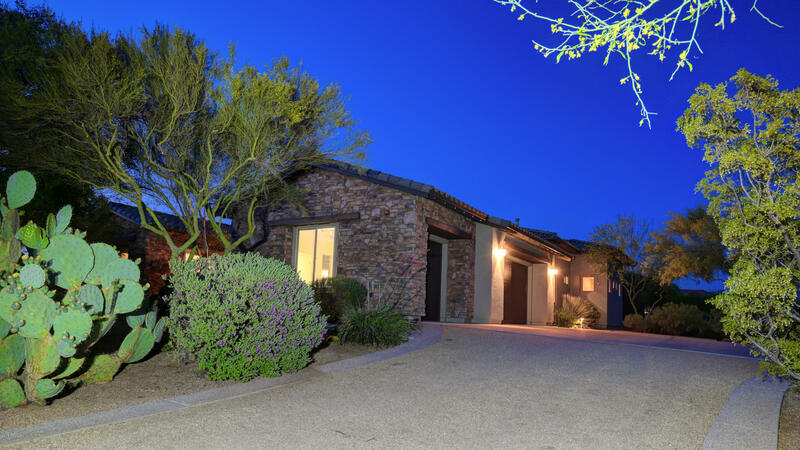 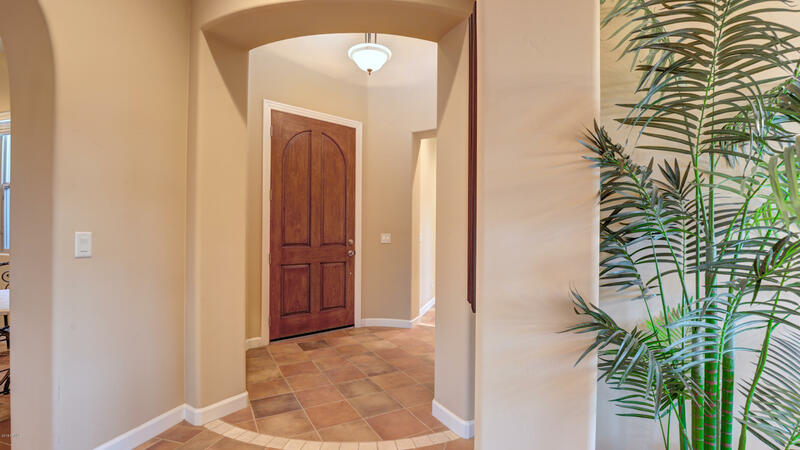 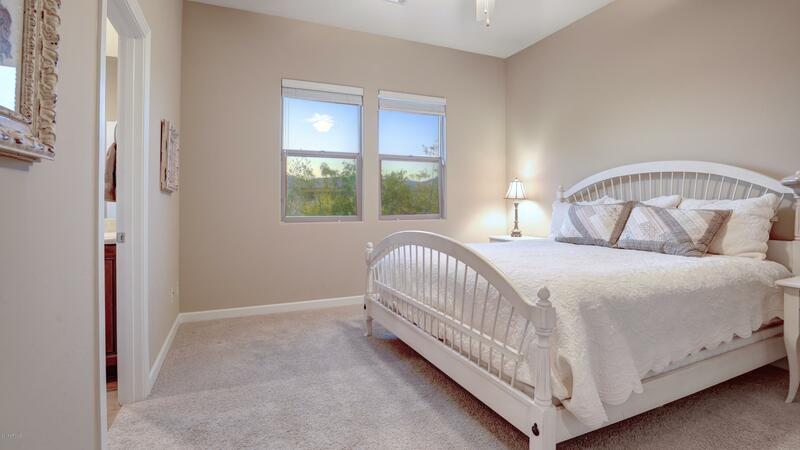 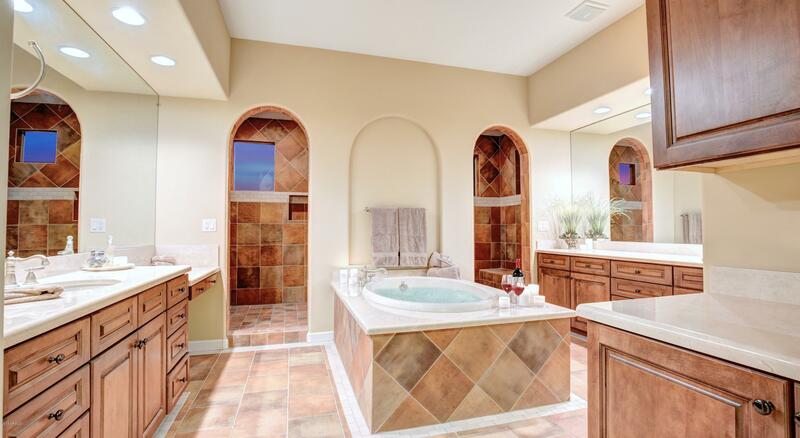 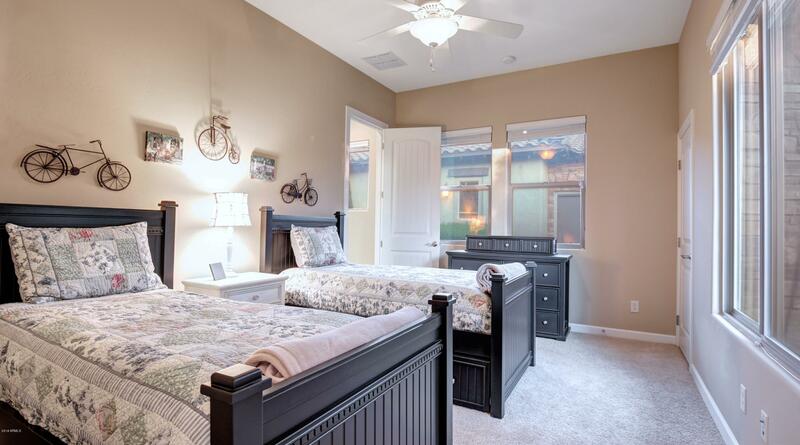 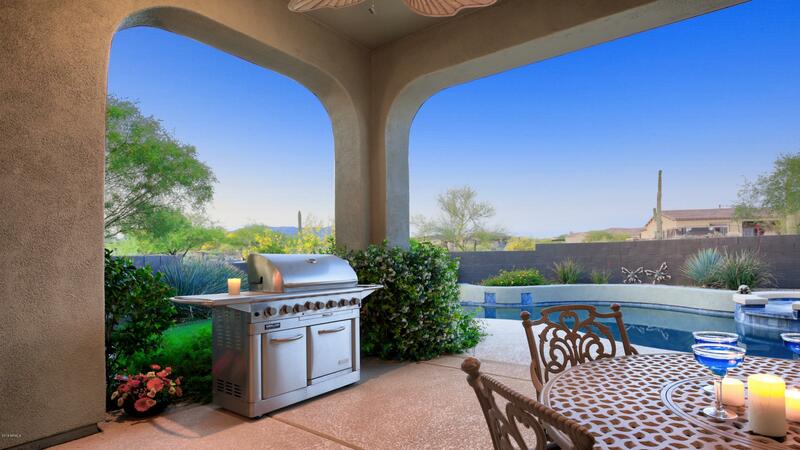 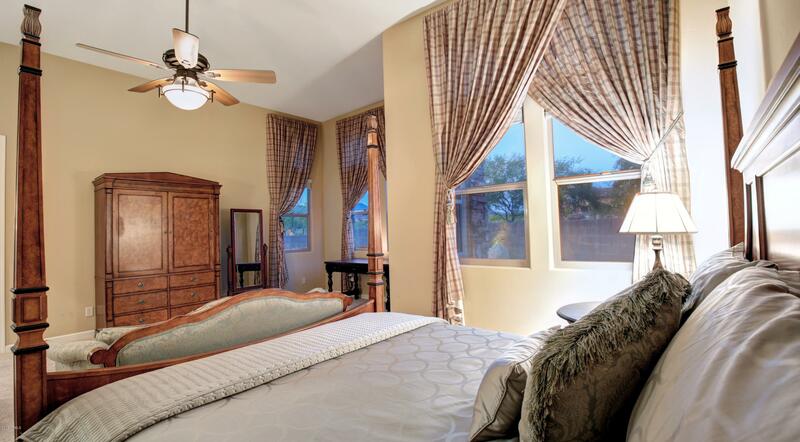 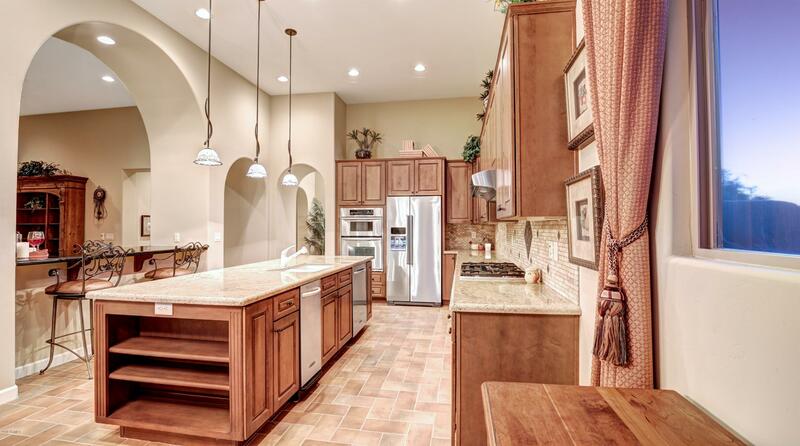 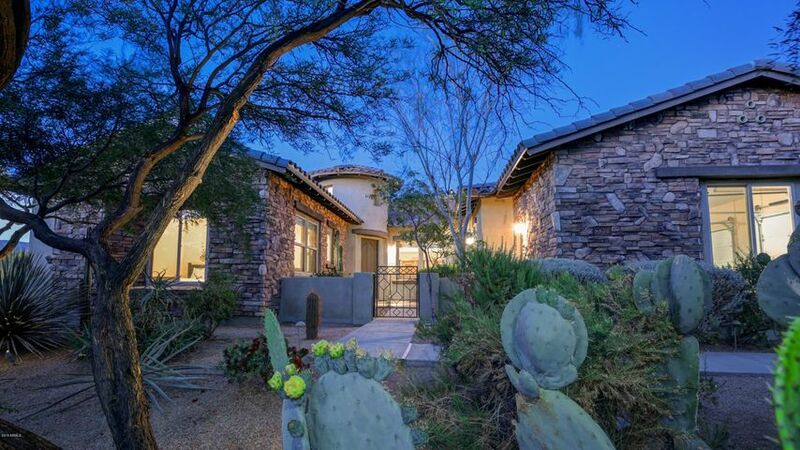 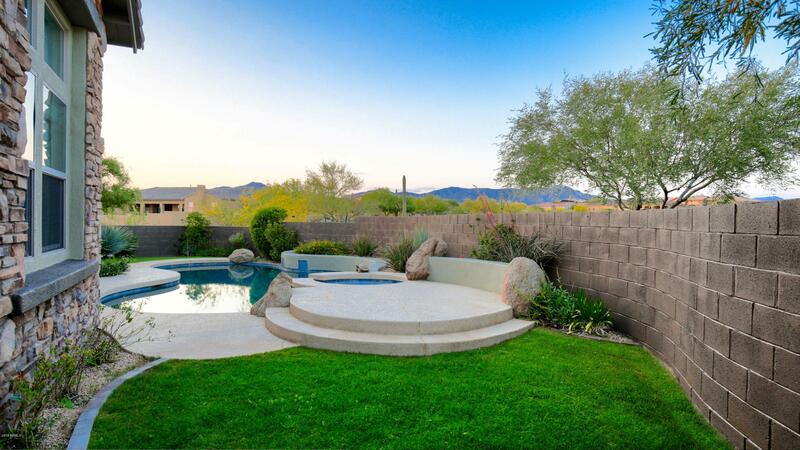 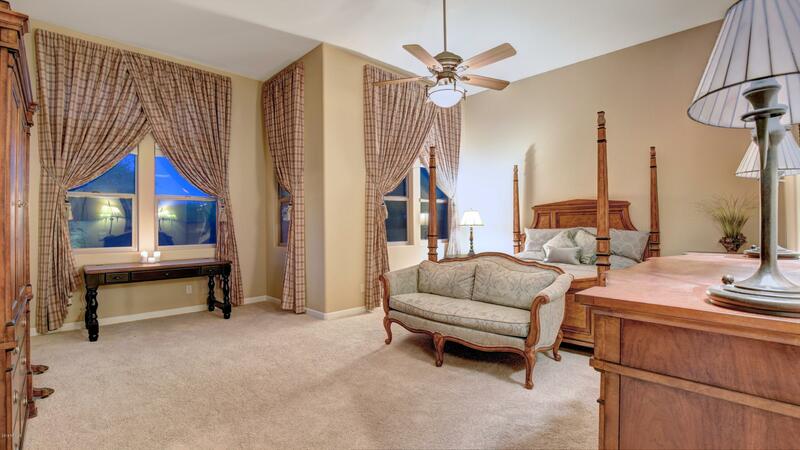 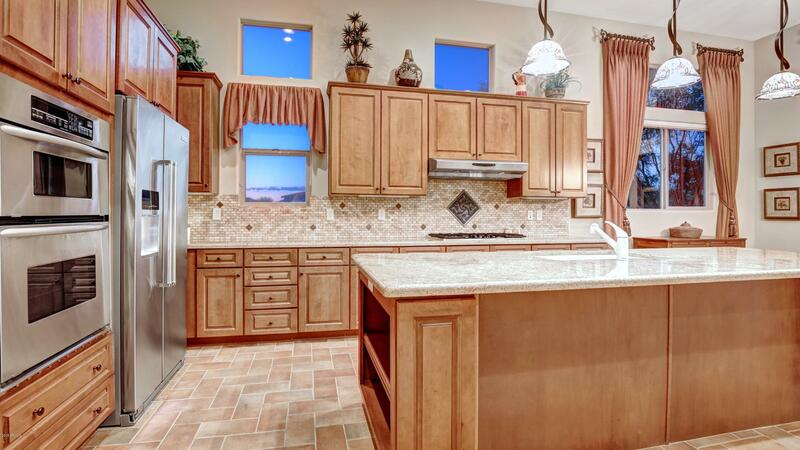 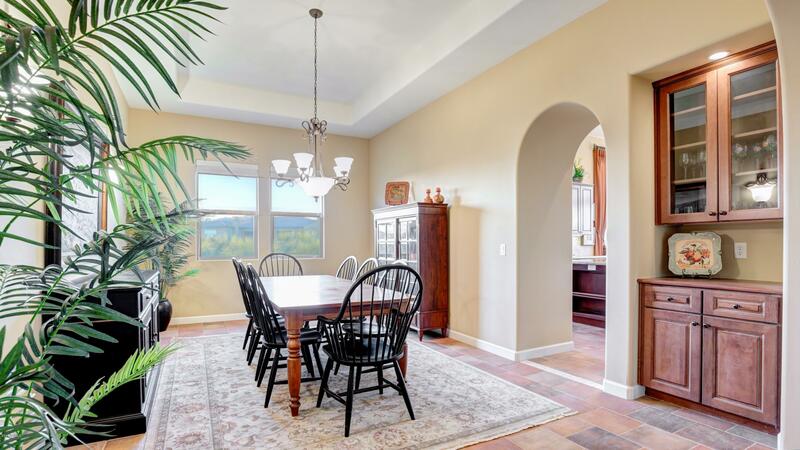 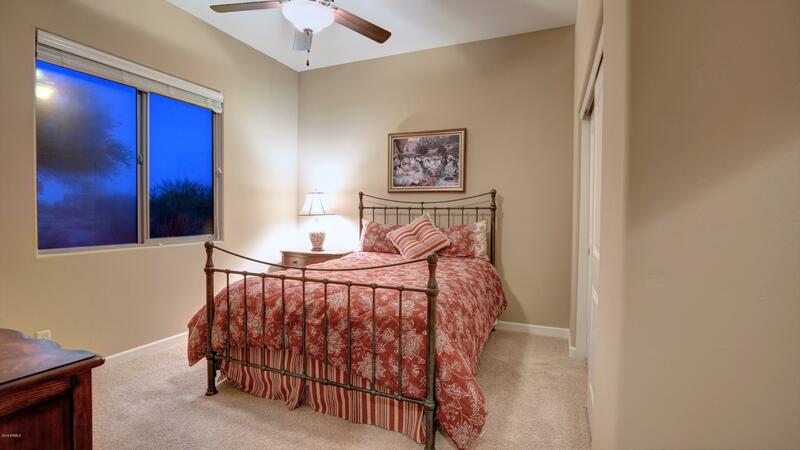 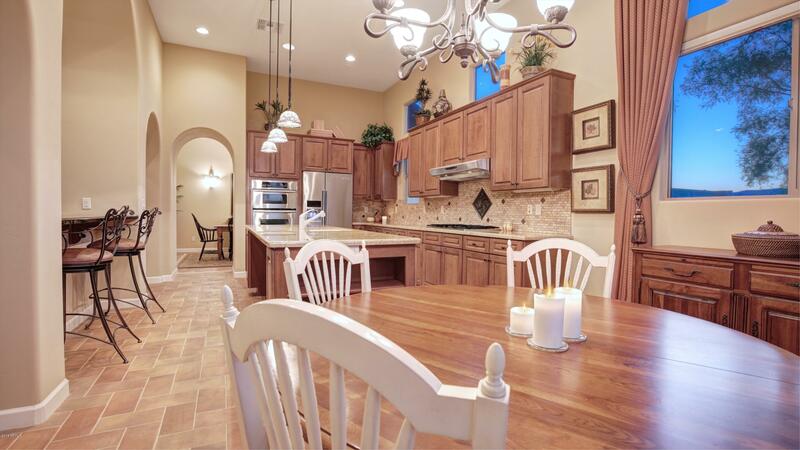 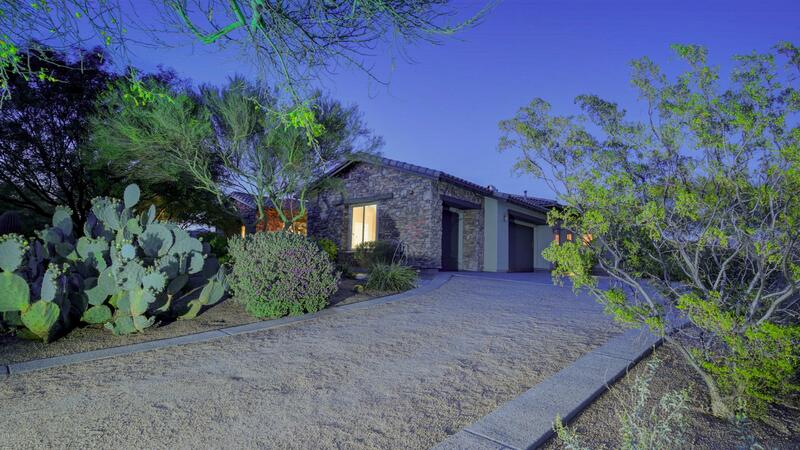 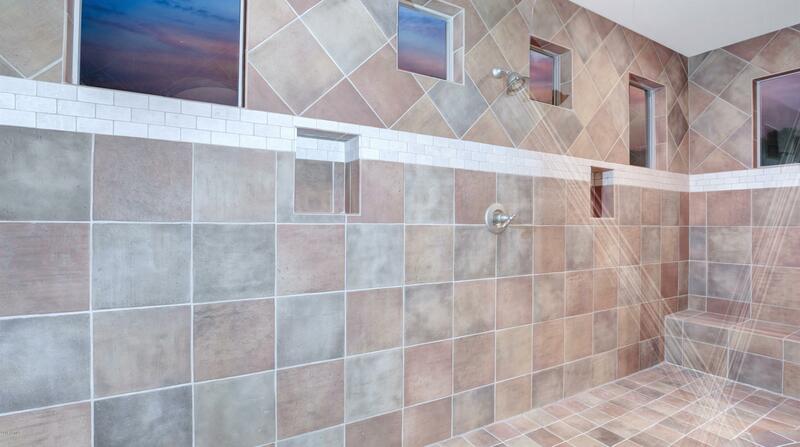 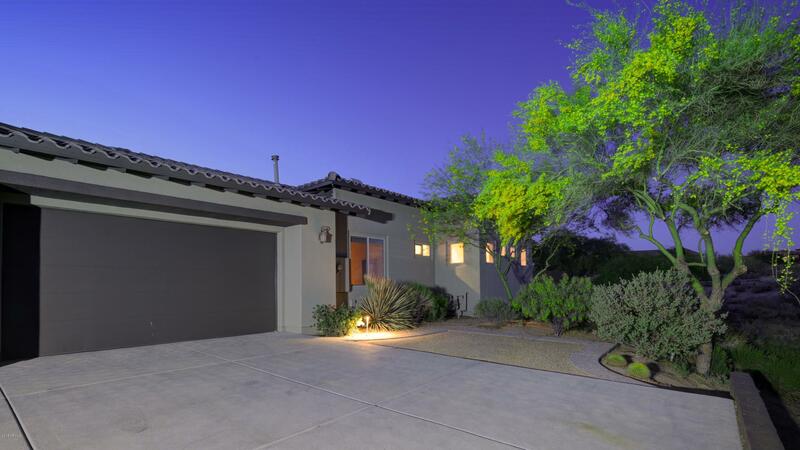 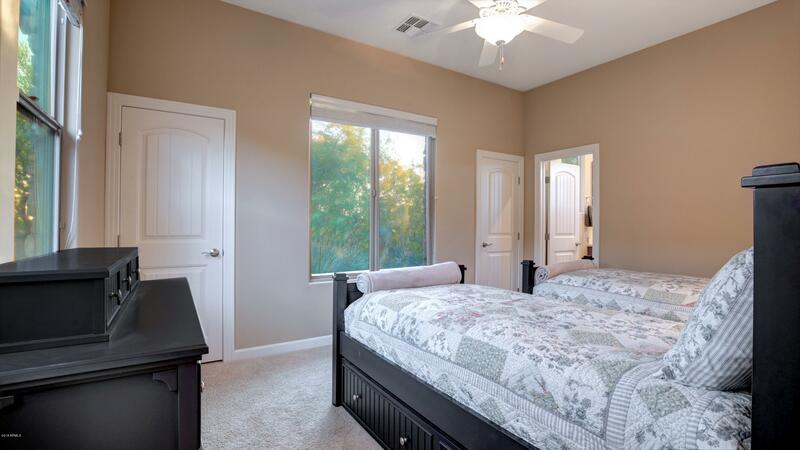 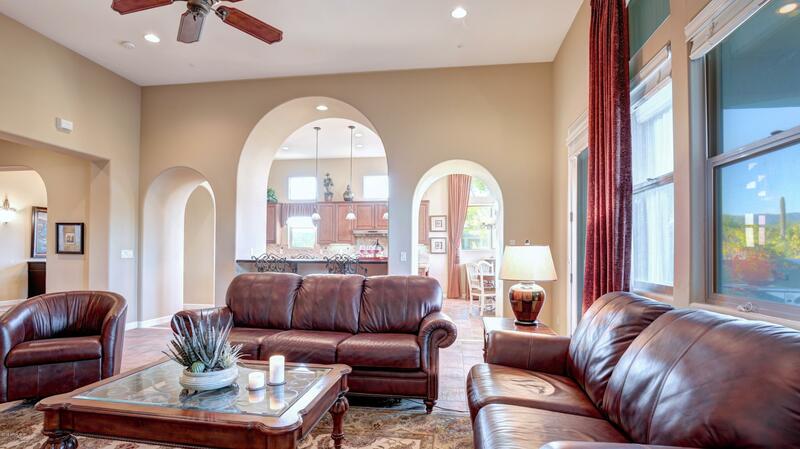 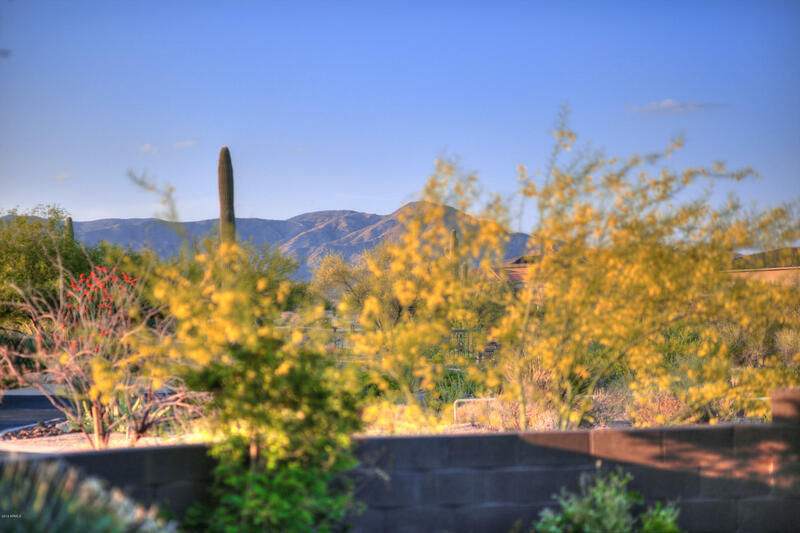 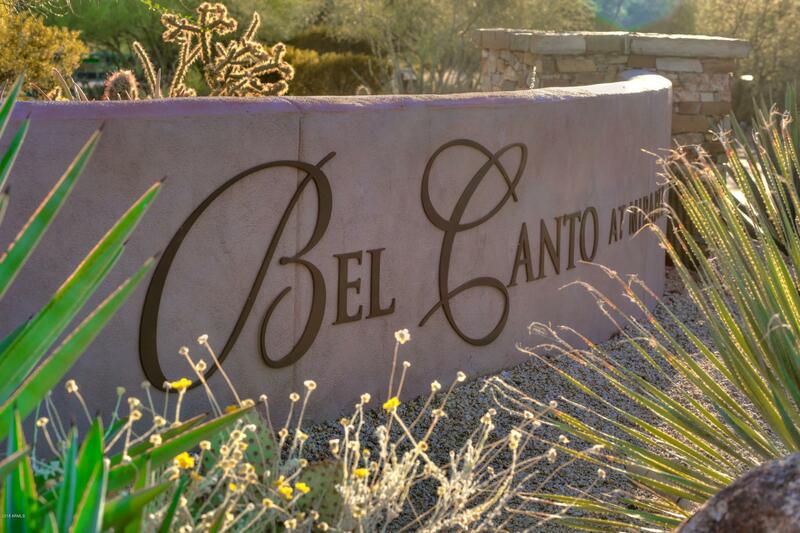 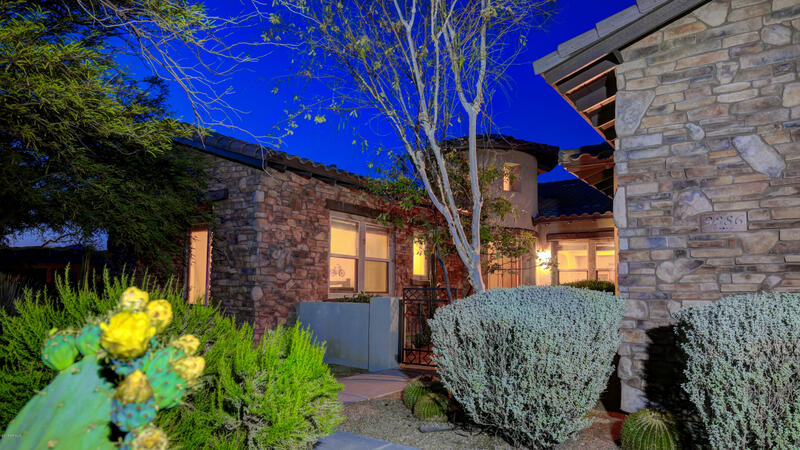 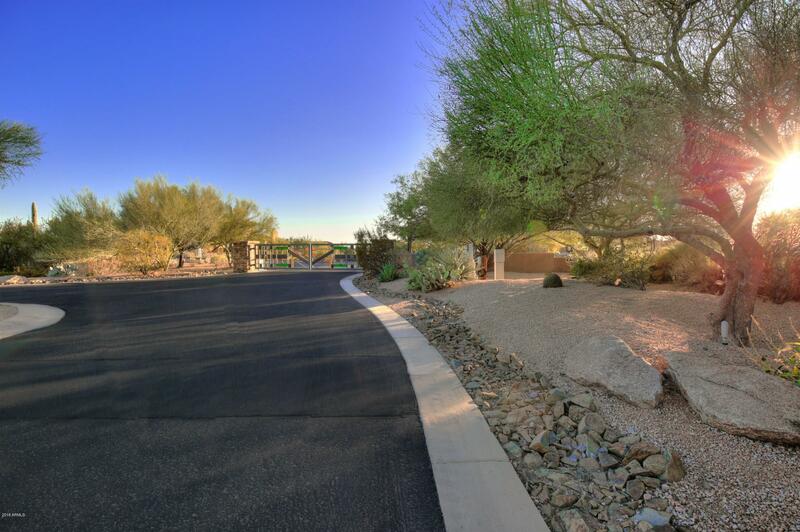 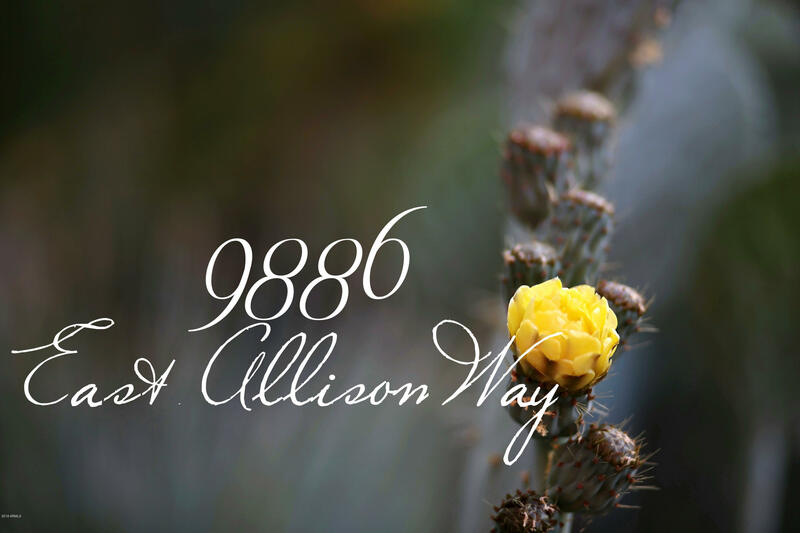 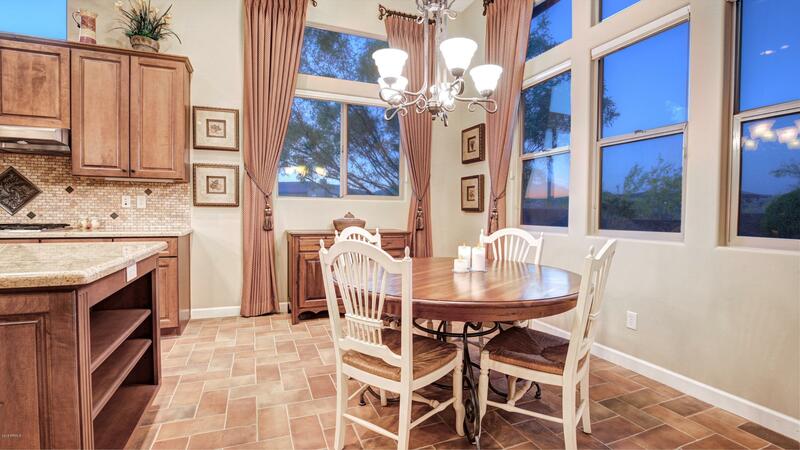 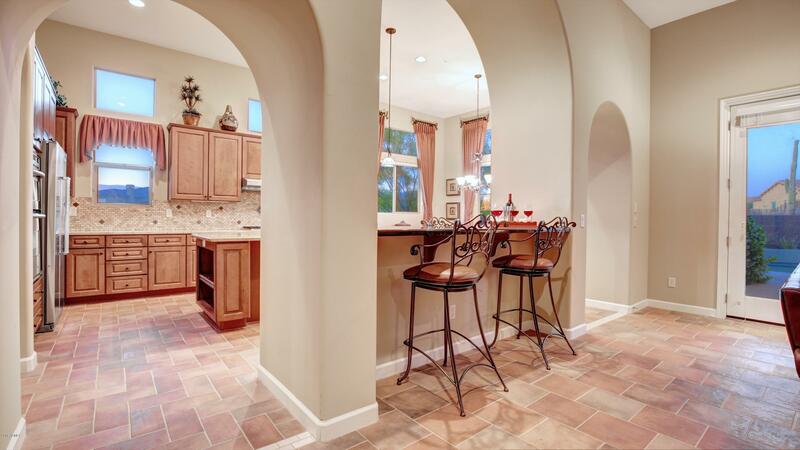 Mountain views in Mirabel Bel Canto a Scottsdale gated community. 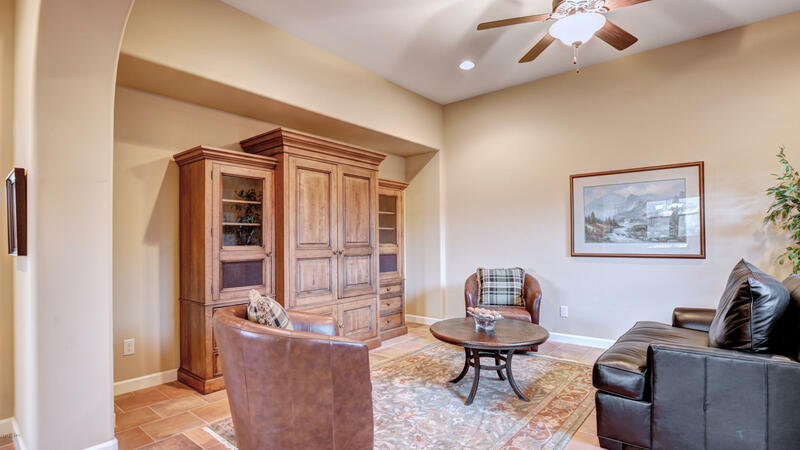 This single level, private, elegant home provides the optimal setting for entertaining in the interior and exterior spaces alike. 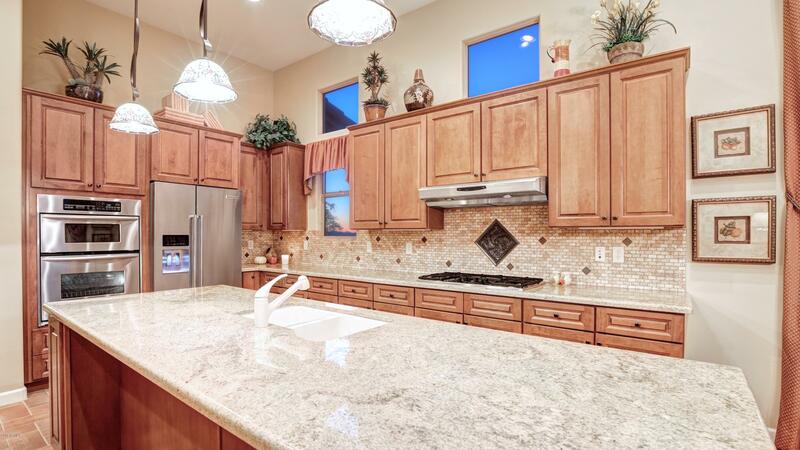 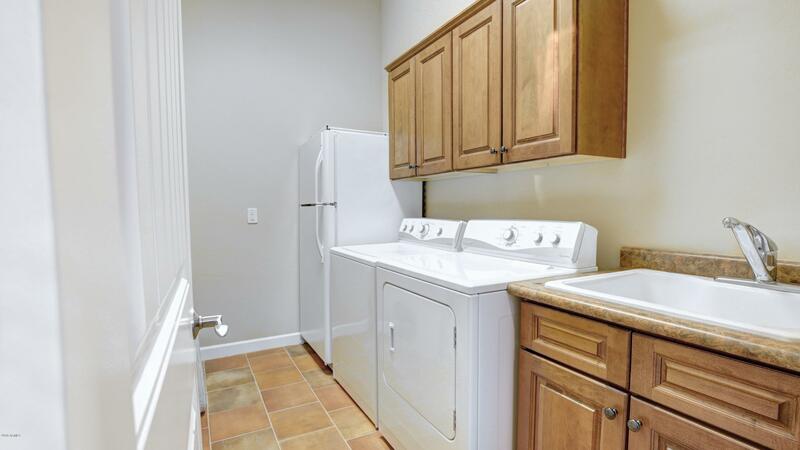 Open gourmet kitchen; clad with stainless appliances, including gas cook-top, sprawling granite counters, pantry, wall ovens, island and bright nook. 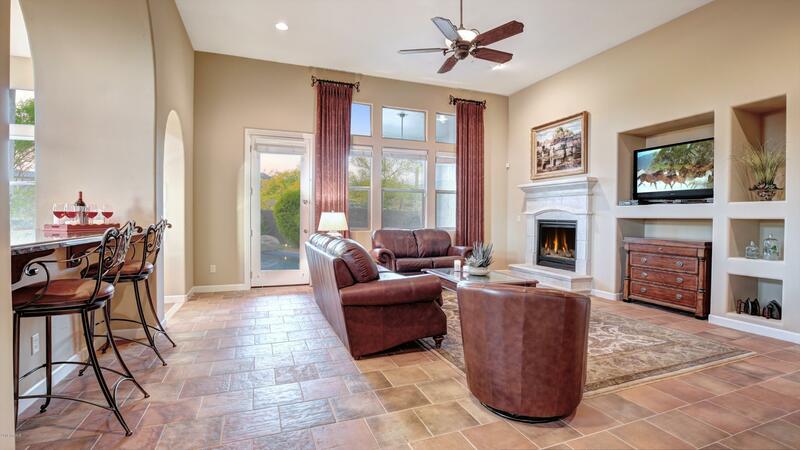 Social bar seating opens to inviting family room with expansive windows and cozy fireplace. 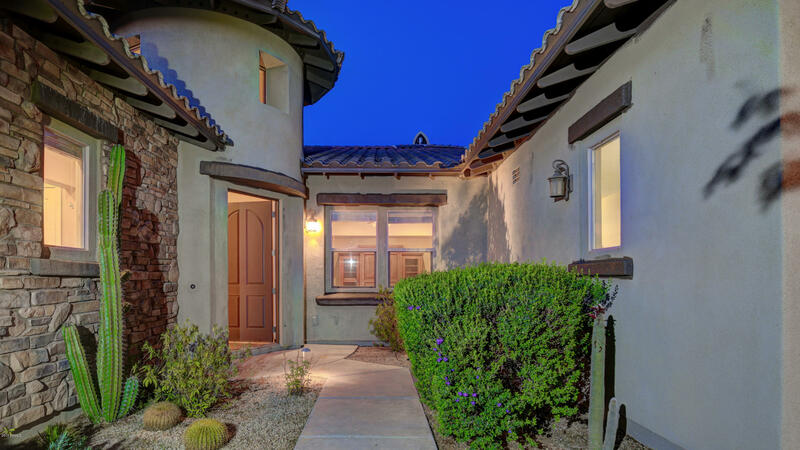 Offering a split-floor plan, the Master Retreat offers private access to spa and pool, gracious sitting area, views and a sprawling walk-in closet. 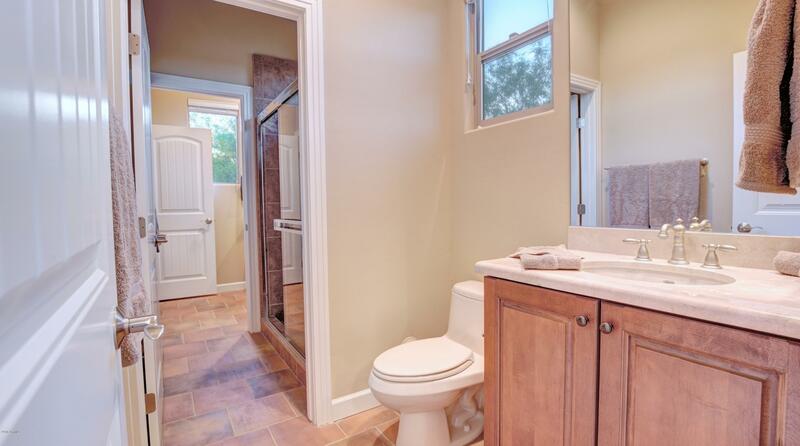 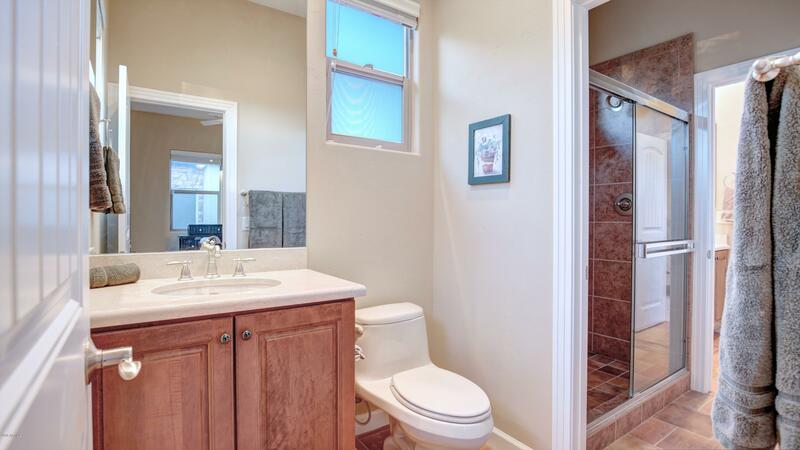 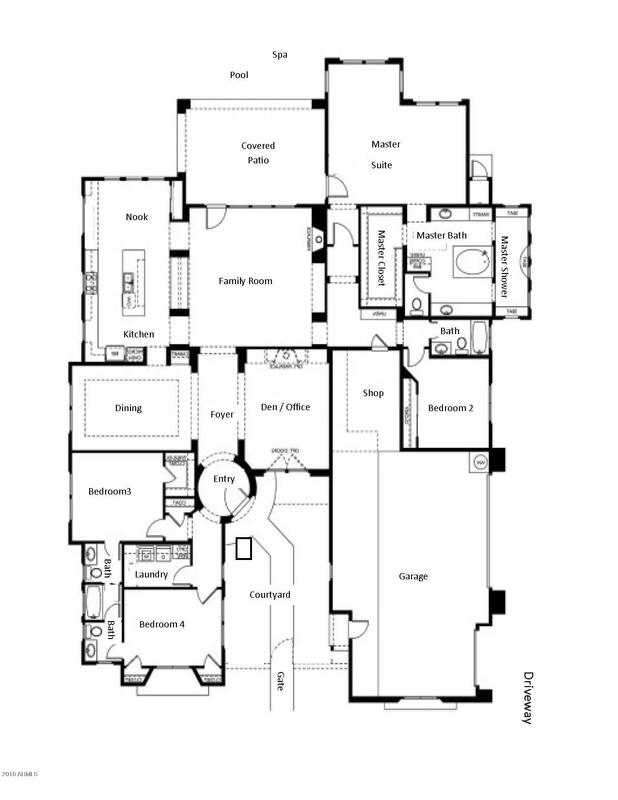 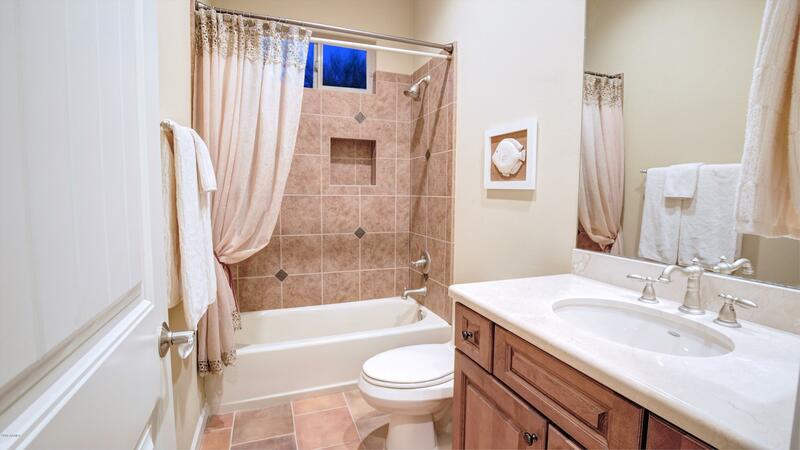 Boasting a spacious spa-like bath featuring a wall-length dual entry shower, multiple vanities, lounge-tub and private water closet. 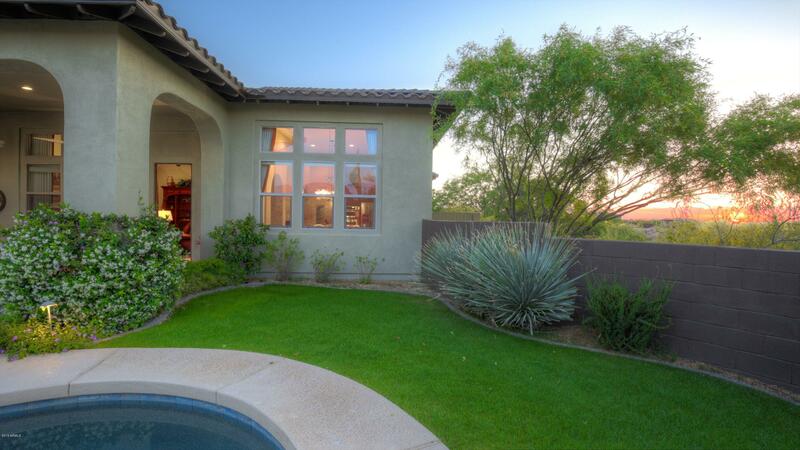 Deep, covered patio ideal for poolside dining or stargazing under the desert sky.